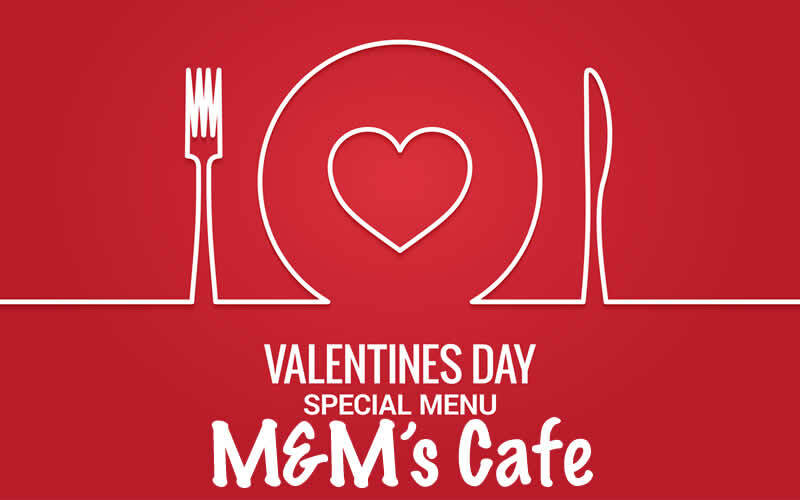 Valentine Day Special Menu at M&Ms Cafe Feb 14, 2019 4p until. A special menu… created with your Valentine in mind: broiled sea bass, Angus choice prime rib, lobster roll, jumbo prawn stuffed shrimp with crabmeat, ribeye Teriyaki steak, Indian curry cream sauce with shrimp, soft shell crabs, and chicken parmesan. No reservations needed for couples, please make reservations for parties of 6 or more. M&M’s Cafe, 252-249-2000.